Representing one of the biggest counterweights to tea in the market of relaxing and energizing hot beverages, coffee is a miraculous concoction of ingredients that can keep you awake at night, make your workouts more vigorous and give you an energy boost whenever you’re in need of one. Judging by today’s coffee-consuming statistics, other parts of the world, as well, have welcomed coffee with open arms and incorporated it in their cultures wholeheartedly. Inevitably, every country has added its own curious kick to the base recipe. The French, for example, have devised the café crème – a wholesome concoction reflecting their infatuation with gentle pastries and creamy beverages! The Italians have made a name for themselves thanks to their unique coffee variations! You have these flavorful sorts such as cappuccino, macchiato, marocchino! Then there are the Irish who have made their coffee famous by … well … by chucking some whiskey in. Anyway, it turns out that the taste itself, as glorious as it is, isn’t really the only benefit you’ll get from drinking coffee. In fact, there are multiple reasons why this beverage may actually be more beneficial to your health than you expected. In this article, we’ll list three of them. Right then, without further ado, here’s the deal. While having a cup of coffee before studying won’t really make you any smarter, it will heighten your overall alertness and perception, which will, in turn, help with concentration. This is why many students invest in coffee machines, by the way. Thanks to its central ingredient caffeine which increases the number of neurotransmitters such as dopamine and norepinephrine every time you take a sip, consuming coffee will trigger feel-good emotions and improve your mood. Also, along with the heightened sense of well-being and the sheer joy of tasting coffee, the increased number of the aforementioned neurotransmitters means you’ll have an easier time memorizing stuff, be more vigilant, and overall enjoy higher energy levels until the effect wears off! Possibly thanks to its energizing and invigorating effects on the brain, consuming coffee has been recently found by some studies to decrease the likelihood of developing Alzheimer’s disease later on in life. Since there is no known cure for this disease, the focus has been somewhat shifted to preventive measures. Most of all, regular exercise and a healthy diet play the major roles in preventing this disease from developing. Also, continuous learning and intellectual development have also been cited as a great preventive means. In this respect, drinking coffee would probably fall into the category of diet ‘n’ exercise when it comes to Alzheimer’s prevention. So, if you have a family history of this disease, working out and having your steady dose of coffee every day may be the way to keep it at bay for the future. Go figure! 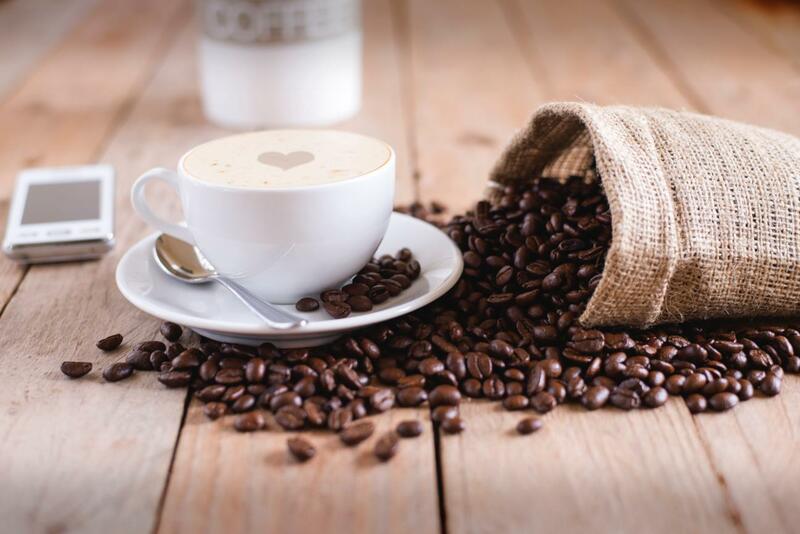 Other than being an energy booster par excellence, coffee is also a beverage with a fair amount of vitamins, minerals, and other nutritive ingredients. To be fair, meeting the RDA criteria for all of these crucial ingredients would probably mean having to drink a truckload of coffee every day, but still – better than nothing and if you combine your coffee intake with a proper healthy diet, you can even consider coffee a sort of tasty supplement! All things considered, drinking coffee has become a ritual for many people and while most of us simply do it for the delicious taste and to be more alert when we should actually be asleep, as you can see, coffee has other benefits, as well! Whatever your reason for enjoying your daily cup (or two or three) of this beloved beverage, as long as you consume it in moderation, you’ll be able to reap all the benefits stated above! How to Cure Thyroid Deficiency?